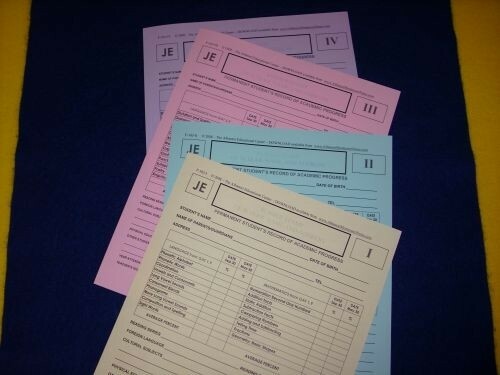 Mixed Reports for grades 1-2-3-4 of the Junior Elementary (6-9). These reports are designed to reflect the level of abstraction in elementary academic subjects (Language, Math, Geometry) with students of the Junior Elementary program 6-9 years of age. By ordering this item we will send you a mixed set of reports. Permanent grade records are important when transferring students from Junior to Advanced elementary, from one class to another, from one school to another. A student’s well documented academic history is easy to assemble with the use of the Albanesi Curriculum Program (ACP). These Permanent Grade Records enable Montessori schools that use the Curriculum Cards Labs and the ACP Montessori Tests to offer documented objective evidence of each student’s academic achievement.